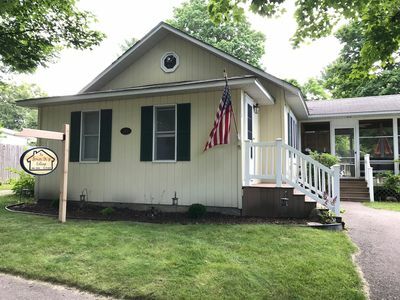 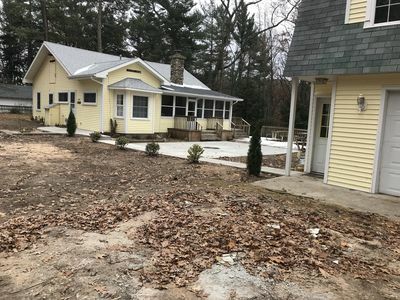 Located in the heart of the Silver Lake area, this family oriented and recently completed waterfront cottage on All Sports Upper Silver Lake offers a great vacation spot for your large group. 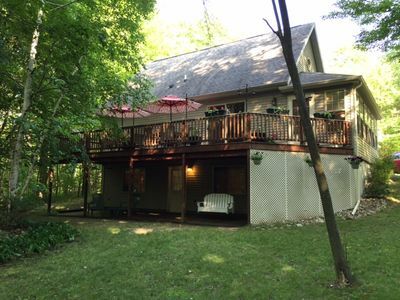 Enjoy the peaceful sunrises on the deck and the convenience of being located just minutes from the entrance to the Silver Lake Dunes. 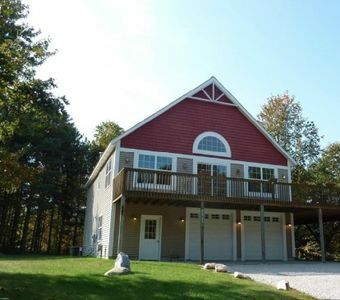 This cottage is located on the west side of Upper Silver lake, and boasts a 40' long covered porch overlooking the lake. 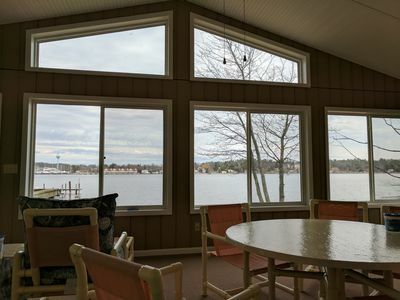 There is endless enjoyment of the waterfront with 70' of private frontage, a new vinyl dock, and sandy bottom. 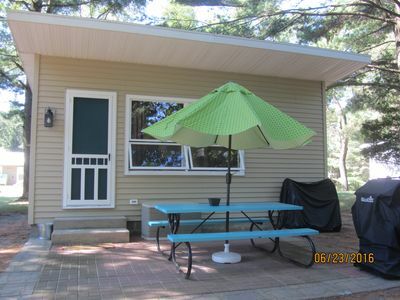 Feel free to take your own water craft or rent locally and tie them up to the dock. 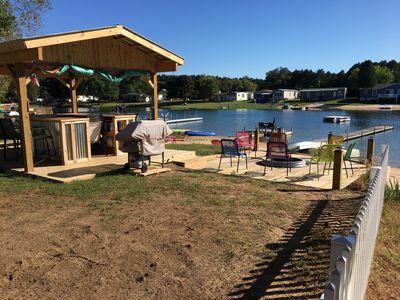 The lake offers a quite time starting at 7:30PM and ending at 11:00AM. 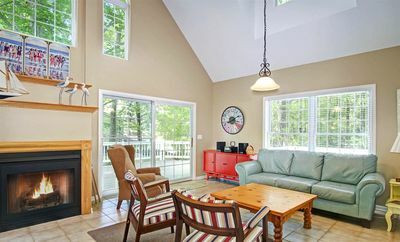 The sandy bottom swim area in front of the cottage is ideal for small children. 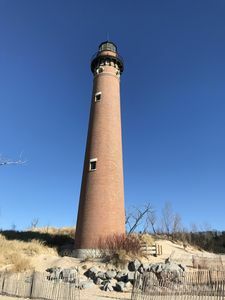 For Beach Lovers - your located only 100' away from one of the many association beaches on Upper Silver, or take a short drive to Lake Michigan and explore the Little Sable Point Lighthouse State park. 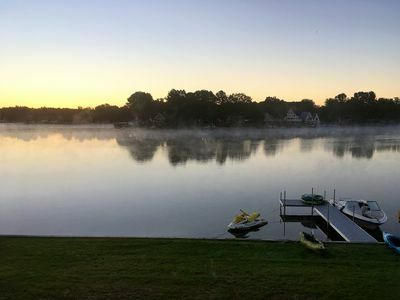 If you love to fish - Upper Silver offers great Bass, Perch, Pan fish, and Northern Pike fishing either by boat, right off the dock, or use one of the (2) kayaks provided. 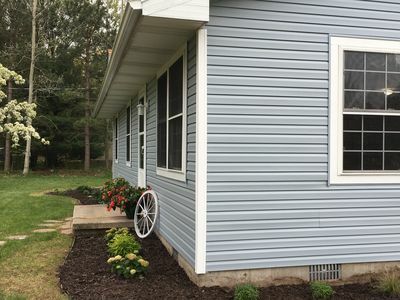 This 2 1/2 bath 4 bedroom home has 2 completely finish levels totaling just over 2,000 sq ft. 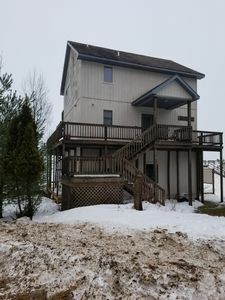 The main floor has 1 1/2 baths, a full kitchen, laundry, changing room, large open living area and a master bedroom with king bed. 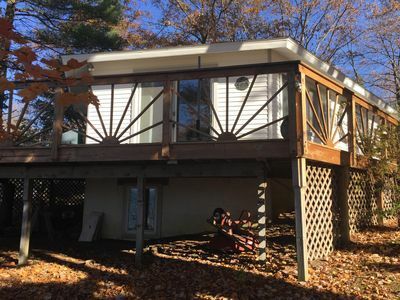 The walkout lower level has a full bath with tub/shower combination, kitchenette, living room, bunk room that sleeps 6, private bedroom with king bed, and a 3rd bedroom with queen and a set of bunks. 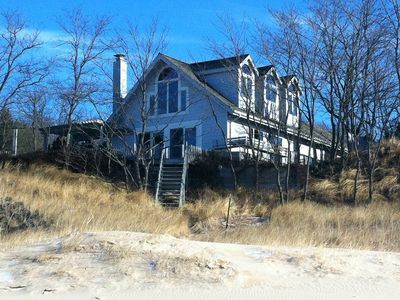 For daytime activities enjoy a trip to Pentwater or Ludington for shopping, head to one of the many local golf courses, or rent a Jeep or ATV and head to the Dunes for some off-roading. 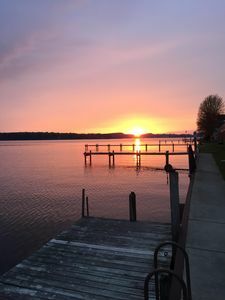 Make sure to enjoy a once in a lifetime sunset on Lake Michigan and then relax on the waterfront and enjoy a S'more around a campfire at the waters edge and enjoy the quiet summer evenings that Michigan offers. 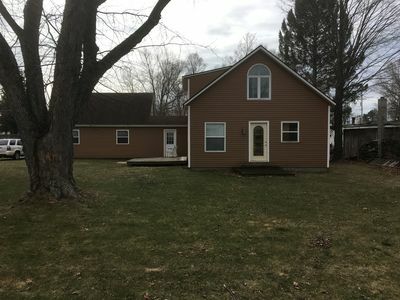 Special Note: This is a family oriented home in a family oriented area - - - NOT A PARTY HOUSE - - - Thank you for considering this when you rent our home for your vacation. 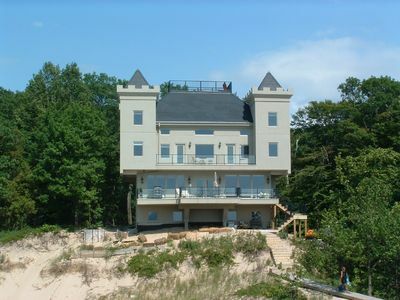 Private Lake Michigan beach with spectacular views of the sunset. 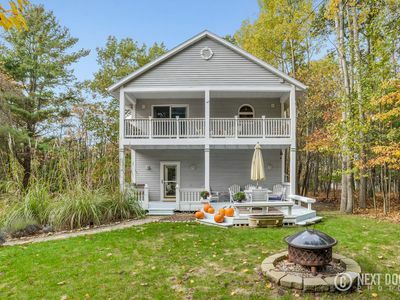 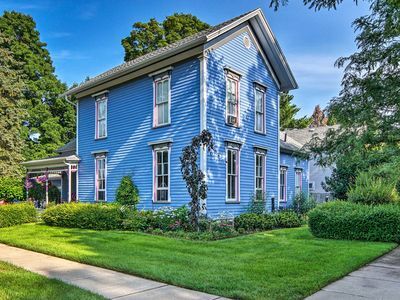 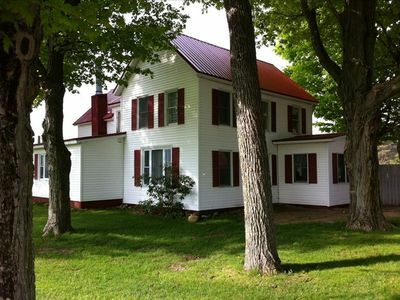 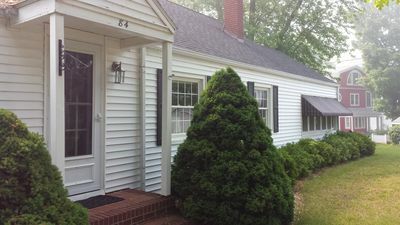 Charming Lake Michigan Cottage located between Silver Lake & Pentwater!